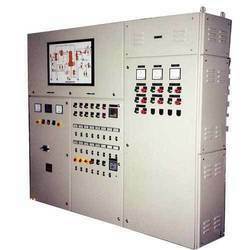 Leading Manufacturer of plc control panel, electrical control panel, automatic electric control panel and plc automation control panel from Rajkot. 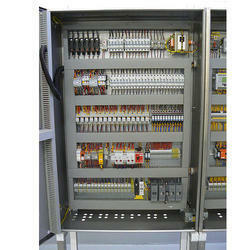 Being a customer oriented organization, we are deeply engaged in offering a wide array of PLC Control Panel. 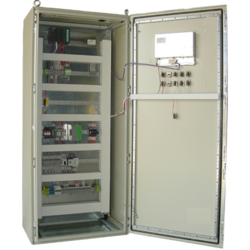 With rich industry experience and knowledge, we are offering a wide range of Electrical Control Panel. This control panel is manufactured using best quality component and modern technology at our well-equipped manufacturing unit. The offered control panel is appreciated for its long service life feature & used for controlling the electric supply. 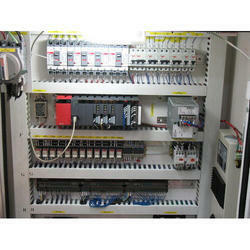 We are offering Automatic Electric Control Panel to our clients. We are the leading organization to provide our precious clients an optimum quality PLC Automation Control Panel. The offered control panel is manufactured using optimal quality component and ultra-modern technology under the guidance of our skilled professionals. Our provided control panel is applauded for its easy installation. Provided control panel is checked by our quality experts before delivering it to the door steps of our clients.